Since the ending of the Cold War and in the light of an increased risk of nuclear terrorism, a shift in focus has taken place from nuclear safeguards to nuclear security. 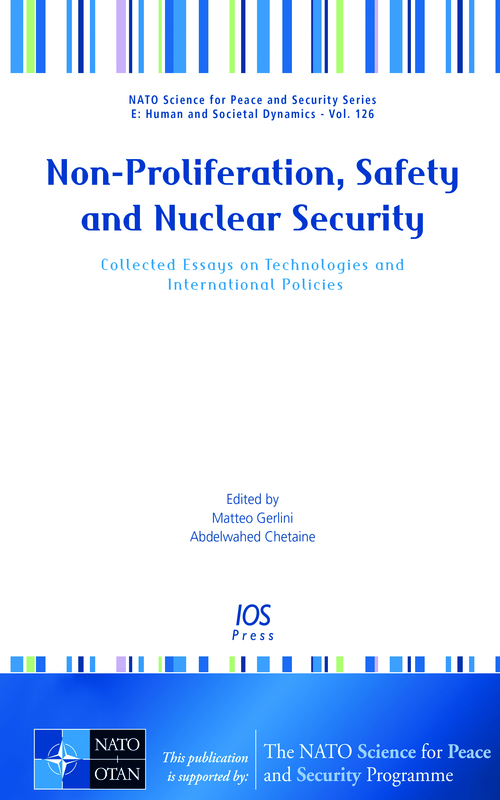 This book presents 8 lectures delivered at the NATO Advanced Training Course, ‘Non-Proliferation from an International Perspective’, held in Rabat, Morocco, in December 2014. The aim of the course was to inform participants with regard to the advanced political and legal concepts related to nuclear security, as well as equipping them with the necessary tools to apply such concepts in practice. The papers collected here cover the principal political and international topics related to the evolution of the international institutions or regional agencies which manage nuclear threat, with special attention being given to the theoretical and political bases of nuclear security as an answer to that nuclear threat. The book will be of particular interest to all those whose work involves the political and legal aspects of nuclear security, particularly those who must deal with public opinion or decision makers with regard to this important area of national and international security. Please note that one of the eight lectures presented here is written in French, the remaining seven are in English.